The simplest, most transformative prayer you may ever pray: the five senses prayer. This book invites you to a simple practice of prayer and awareness that can turn each ordinary workday into a deepening spiritual journey. No matter where you are or how busy you get, your five senses are always "on," your mind and heart responsive to what you perceive. These channels of awareness can take you deeper into God's great mystery if you practice the discipline of submitting them to the One who is closer than you imagine. The beauty of such a contemplative path is that you can follow it anywhere-alone or in company, in quiet meditation or amid the bustle of your craziest day. Moment by moment, you invite God to open you up-eyes, ears, nostrils, hands and mouth, heart and mind. And moment by moment, as you open yourself, you'll find yourself closer to God's grace-filled and wide-open heart. Simply Open. 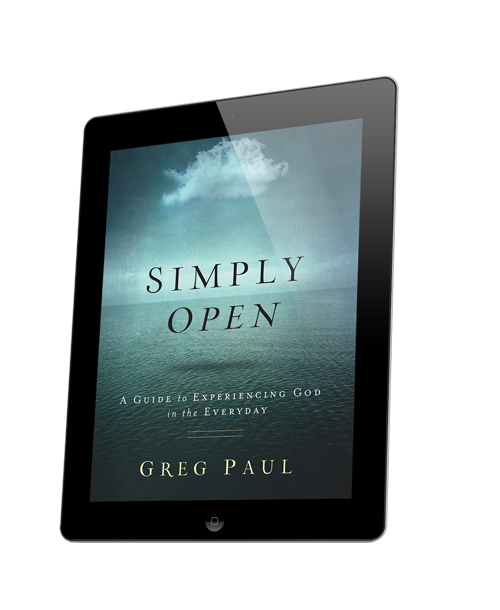 If we but "simply open" ourselves, Greg Paul shows us how the whole world is full of God. This is a book that will stay with you for life. Greg Paul writes with the language of a poet, the compassion of a pastor and the insight of a philosopher. 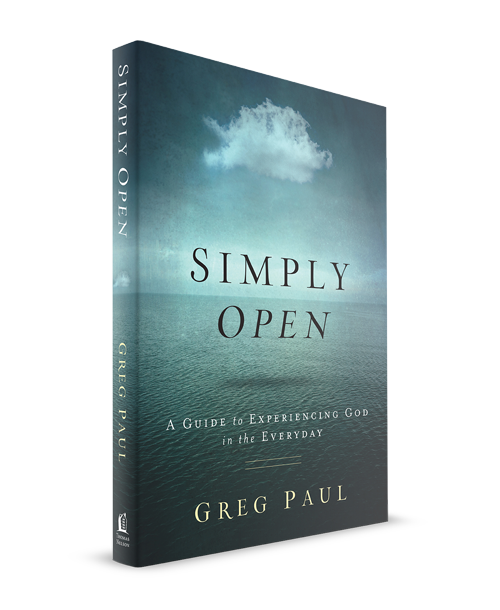 Simply Open will inspire and inform you in new ways that will deepen your spiritual journey and relationship with God. Greg Paul is a pastor and member of Sanctuary (Toronto), a community in which the wealthy and poor share their experiences and resources daily and care for the most excluded people in the city. He is the author of Close Enough to Hear God Breathe, ECPA's 2012 Non-fiction Christian Book Award winner; The Twenty-Piece Shuffle; and God in the Alley.